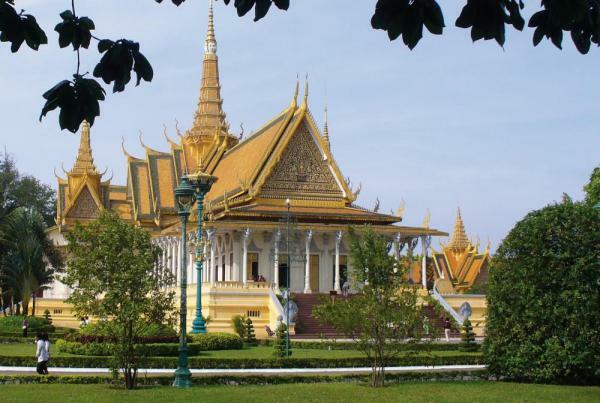 Asia Cruises & Tours - From the Angkor Temples to the Mekong Delta Plus 4-day post cruise to Hanoi and Halong Bay. Explore the fascinating Mekong River aboard the RV Indochine, a 4-star luxury ship completly paneled in tropical hardwood. On this 14-day cruise visit the most famous and imposing of all the monuments in Angkor, taste palm sugar from the Thnot sugar palm, take a “tuk tuk”trip (motorized tricycle), visit a beekeeping farm, taste honey tea and exotic fruit, discover the thousands of various limestone islands dotting the emerald-colored Halong Bay, and much more! Today, explore Angkor Thom, the monumental temple of Bayon—famous for its towers and 172 faces of Avalokitesvara, and Ta Prohm. 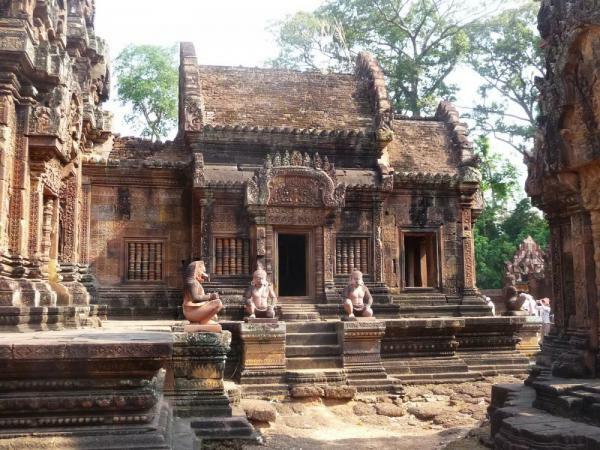 After lunch in town, leave for a visit of Banteay Srei. This evening, have your dinner in a restaurant in town before ending the day with Phare, the Cambodian circus, and spending the night at the hotel. 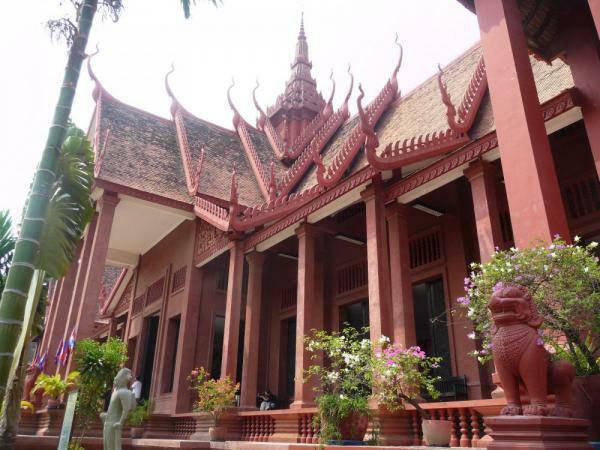 Enjoy breakfast before visiting the Angkor Wat temple: the epitome of Khmer architectural art. It is the largest religious monument in the world and an architectural masterpiece. Lunch is served at the hotel. In the early afternoon, transfer from the hotel to the RV Indochine. After comfortably settling into your cabins, meet the crew at a welcome cocktail and have dinner on board. Enjoy a leisurely breakfast this morning while crossing the lake. Located about 90 kilometers from Phnom Penh, Kampong Chhnang is one of the largest fishing ports on the Tonle Sap. Fish farming is abundant here. The region is best known for its particularly archaic pottery that can be found throughout the country and which gave the town its name (Kampong Chhnang means "port of pottery" in Khmer). Taste the palm sugar harvested from the Thnot - a sugar palm that is also a national symbol, and visit the floating village on small boats. Return back on board and depart for Kampong Tralach. Have dinner on board this evening. Set out to visit the beautiful Vihara at the Wat Kampong Tralach Leu pagoda. To access the pagoda you need to cross the village of Kampong Tralach in ox carts, moving along a small road that runs perpendicular to the river in the middle of magnificent rice fields. After lunch, you'll arrive in Koh Chen. You can explore this small village where craftspeople specialize in silver and copper work. After returning on board, spend the afternoon cruising towards Phnom Penh, arriving in the early evening. Enjoy a brief tour of the area by "tuk-tuk," the easiest way to get around the city. Return to the ship and enjoy a performance of classical Khmer dancing and music and have dinner. Enjoy breakfast as you cruise to the Vietnamese border. Spend the morning taking care of customs formalities. Have lunch and arrive in Chau Doc in the early afternoon. Chau Doc, on the edge of the Mekong Delta, is the stepping stone between each country. And there are floating farms everywhere! Now-prosperous Chau Doc has developed around fish and fish farming. The town is a busy, lively place with few tourists and several charming colonial buildings. The market is in the heart of the city, and it has a color scheme to match its ambience: with bright pastel hues of green, blue and purple adorning many of the newer shop fronts. Set out on small boats to visit a fish farm, and if the weather permits, go up to the top of Nui Sam. Sail through Chau Doc and visit the temples of Ba Chua Xu and Tay An. Return on board and continue towards Sa Dec. Have dinner and spend the night on board this evening. Enjoy breakfast before continuing to the small sleepy town of Sa Dec. Visit the former house of Huynh Thuy Le, the man who Marguerite Duras based her book The Lover on. In colonial times, Sa Dec was known as the “Garden of Cochin-China” because of its famous floral gardens. Have lunch on board and cruise to Ving Long - located in the middle of the delta, between two distributaries of the Mekong River. Hundreds of small boats abound between houses built on stilts. Take a boat ride through the arroyos and orchards to Cai Be. Discover a brick and pottery factory, a fruit-tree nursery in Binh Hoa Phuoc, puffed riced and the rice paper wrappers used to make nems, rice alcohol and coconut candies. Afterwards, return on board and start to cruise once again. Enjoy dinner on board this evening. Enjoy breakfast on board before disembarking. 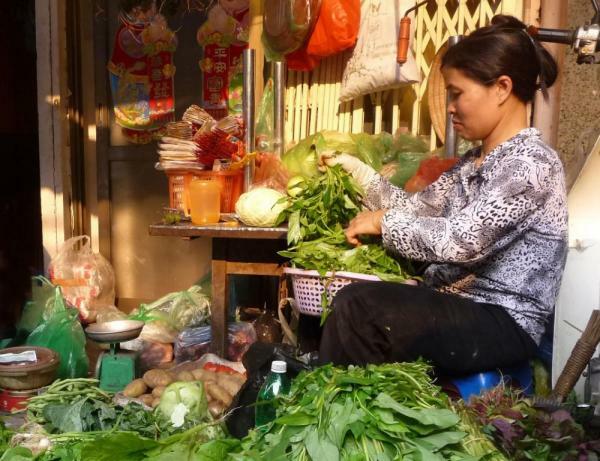 Spend the morning visiting Cholon, the Chinese-influenced section of the city, including its hectic market. After lunch in town, you’ll be transferred to the airport and board a flight to Hanoi. Check into a 5-star hotel and have dinner. 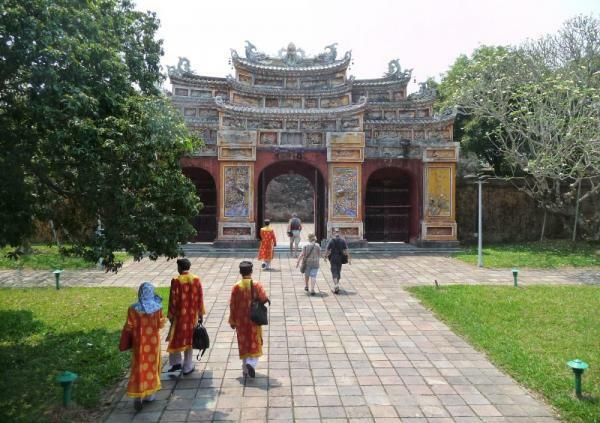 Spend the day on a guided tour of the capital, visiting the outside of the historic Ho Chi Minh Mausoleum on Ba Dinh Square, Ho Chi Minh's humble stilt house behind the mausoleum, and the unique One Pillar Pagoda Buddhist temple. Visit the Temple of Literature, built in 1070 and dedicated to Confucius. After lunch in town, take a pedi-cab ride. Have a tour of the local "Embassy Row" with its French colonial-style architecture. This evening, watch a traditional water puppetry show and have dinner in the city before spending the night at the hotel. Enjoy breakfast before leaving early in the morning for Halong Bay (approx. 3.5 hours travel time). Be welcomed aboard, enjoy a cocktail, and have lunch on board. Begin your cruise to discover the thousands of various limestone islands dotting the emerald-colored bay, and go on a tour of a floating fishing village. 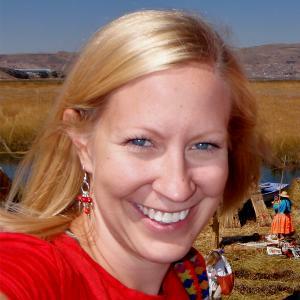 Have dinner on board and spend the night on the 4-star junk Bahia (or similar accommodations). Rise early in the morning and participate in a Tai Chi class on deck. Continue your cruise through the bay, discovering more of its extraordinary scenery and visiting one of the largest caves. This morning, brunch is served on board. Disembark at 11:00 a.m. and begin the trip back to Hanoi. Before arriving, stop off at the Dinh Bang communal hall, one of the largest and finest communal houses in Vietnam. Enjoy a light dinner and prepare for your return home. Please do not book your flight before 8:00 p.m. Please Note: These cruises and tours are not recommended for persons with reduced mobility. Crossing the Tonle Sap Lake: when water levels are high, from August to the end of December, the RV Indochine crosses the lake. When water levels are low, from January to Mid-March, we cross the lake via speed boats to join the RV Indochine at Koh Chen. Finally, when water levels are very low, around Mid-March, transfer between Siem Reap and Koh Chen would be organized by air-conditioned coach. The riverbanks throughout this trip can be steep and slippery according to the level of water. If needed, the route, stops or visits may be changed by the owner and/or our on-site representatives. The captain is the only person authorized to change the route of the ship for safety and/or navigational reasons. For the Halong Bay cruise, the itinerary and visits are defined by the captain each day and are based on tide and weather conditions. The cruise on Halong Bay can be cancelled in the event of bad conditions. The junk on the Halong Bay is not under the private ownership of CroisiVoyages. Please consult your competent authorities (consulate/embassy).